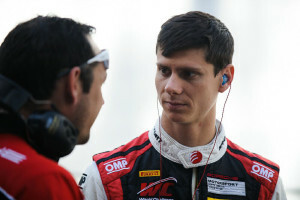 Michael Lewis will compete at Canadian Tire Motorsport Park for Rounds 8 and 9 of the Pirelli World Challenge on May 16 and 17. Laguna Beach, California — This weekend, the Pirelli World Challenge travels north to Canadian Tire Motorsport Park (formerly known as Mosport), just north of Bowmanville, Ontario, Canada, for Rounds 8 and 9. This 10-turn, 2.458-permanent road course is a source of positive results to Michael Lewis, who first competed on this track in 2009, when he clinched the Formula BMW Americas Rookie Driver Championship. Michael raced at this historic course last year for the second time in his career while driving for Bob Faieta’s Competition Motorsports team in the IMSA Porsche GT3 Cup Challenge USA by Yokohama. Michael and the No. 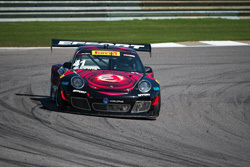 41 EFFORT Racing/Curb-Agajanian Porsche 911 GT3 R are part of a 28-car field entered in the GT and GTA classes of the Pirelli World Challenge for the May 15–17, Victoria Day SpeedFest weekend. Michael Lewis credits the EFFORT Racing team for their guidance, support and expert preparation of the EFFORT Racing/Curb-Agajanian No. 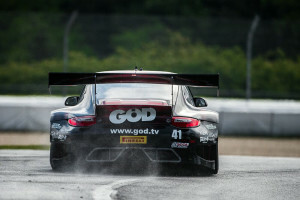 41 Porsche 911 GT3 R this season. Michael Lewis will compete this weekend at Canadian Tire Motorsport Park for the third time in his career. He noted how the track has many elevation changes and fast corners. Live streaming of the races will be available at www.world-challengetv.com. Races are scheduled to air on CBS Sports Network, Sunday, May 24, at 5 p.m. EDT. This entry was posted in News on May 13, 2015 .